The number of drug deaths involving heroin has soared four times since 2000 throughout much of the United States, new statistics indicate. Most of the increase in heroin fatalities occurred after 2010, with the highest rate among adults aged 25–44. “From 2000 through 2013, the age-adjusted rate for drug poisoning deaths [in the US] involving heroin nearly quadrupled from 0.7 deaths per 100,000 in 2000 to 2.7 deaths per 100,000 in 2013,”saysa report by the Centers for Disease Control and Prevention. The study used data from 28 states. Heroin overdoses by gender vary differently as men die from heroin overdose four times as often as women. In 2013, the number of fatal overdoses involving heroin “was nearly four times higher for men (6,525 deaths) than women (1,732 deaths),” says the research. The increase in deaths affects the whole country, with the Midwest being particularly hard hit. The highest rate for heroin-related drug-poisoning deaths was among adults aged 25–44. From 2010 through 2013 the death rate for this group increased from 1.9 to 5.4. According to the report, in 2013 “non-Hispanic white persons aged 18–44 had the highest rate.” In 2000, non-Hispanic black persons of the same age had the highest rate. 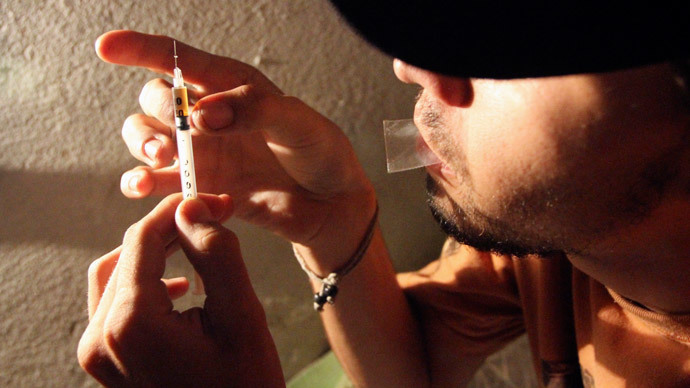 “Identifying populations at high risk of heroin-related drug-poisoning death can help target prevention strategies,” says the study. In January, the CDC said that 2,000 more people died from heroin-related deaths in 2013 than in 2012, as prescription painkillers became harder to obtain and led to a rise in cheaper, illicit street drugs.